Here is a non-exhaustive list of initiatives coming from civic actors and movements. Feel free to share them with your friends, contacts and networks. The more we support them, the stronger their impact! Although they are pursuing different objectives, all the initiatives enlisted here reflect the need for a societal change, where the general interest comes before private ones. 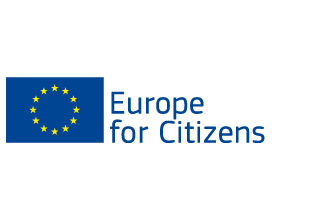 All over Europe and in the world, citizens are organising, creating informal groups, founding associations. We aim at providing the largest possible coverage of their commitment to the general interest. If you are also running an initiative that you would like to promote via this webpage, please let us know. We will be happy to help. Also, you can exchange about the different initiatives, share best practices and organise yourself with other active citizens via our online forum. Re-affirming our engagement for a Europe of Solidarity ! Ils marchent pour l’accueil des migrants, contre le “délit de solidarité”, contre le blocage de la frontière franco-italienne et de la frontière franco-britannique. Rejoignez-les! Next week the members of the European Parliament will face a historic decision: the question is whether they uphold our shared values or they choose short-term party interests. We want a Hungary that respects human rights and the rule of law. Report to us, ask for solidarity, join collective transnational campaigns, be a change-maker for a democratic civic space. This manifesto builds on the 6th Scenario and is primarily aimed at influencing the programmes of the political parties in the European Parliament. This Manifesto contains concrete proposals, in particular a project for a Democratization Treaty and a Budget Project which can be adopted and applied as it stands by the countries who so wish. Our values are at risk: Let’s reclaim a welcoming Europe. Join forces to empower a #WelcomingEurope and reclaim our right to help. We love Hungary, help us keep making it a fair place to live. Support the campaign from Amnesty International. In the framework of the 10th of December, we want to create a positive narrative about civic organisations and show their impact on society. In order to create an emotional connection with the citizens, we are collecting positive stories from volunteers/ NGOs/ individuals, who are humans rights defenders and stand up for human rights for all. Also, testimonials about people who have actually been helped by one of your projects are more than welcome. The picture should be taken with a neutral background, avoiding picture in external places, and possibly a white background. If you think of taking a picture outside, it is extremely important to set the background blur (many Samsung smartphones have this option now, but if you cannot do it, please inform us and we will edit it for you). To give you a more concreate idea of the model we are following, you can check our previous testimonials uploaded in our Facebook and Instagram page!